Montreal Canadiens defenceman P.K. Subban tosses souvenir puck to fans at an open practice Sunday at the Bell Centre. Nothing has been going right recently for the beleaguered Montreal Canadiens and their fans. A one-month-old baby was hospitalized after being hit in the head by an errant puck following an open practice on Sunday afternoon at the Bell Centre, according to a post on Facebook by the infant’s mother, Valérie Meloche. The incident was said to have happened when the team was soft-tossing souvenir pucks to their young fans after practice. “Unfortunately, one of the fans who caught a puck thrown by P.K. 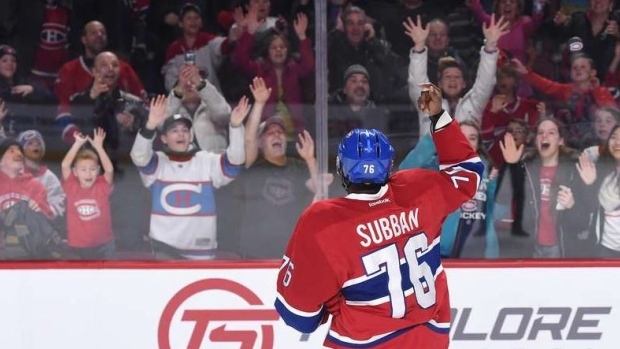 Subban was just a month old — and she caught it with her head,” explained Meloche. According to Meloche, the baby named Beatrice was knocked unconscious and given CPR on site before being taken to the Montreal Children’s Hospital in critical but stable condition. She was monitored for a concussion, but is expected to make a full recovery and has since been released from hospital. for a FREE- no obligation consultation! The Canadiens’ vice-president of communications, Donald Beauchamp, told CBC Sports that the team was alerted of the incident Monday morning and met with the family. It’s not clear who soft-tossed the puck that struck Beatrice, as Beauchamp said there were about 20-plus players handing out the souvenirs, and the puck apparently touched two or three different people grabbing for it before it hit the infant. However, the Habs’ representative said Subban was relieved to hear Beatrice was released from hospital and recovering well. The star defenceman may possibly meet with the family in the future — and they’ve been invited to attend a future Habs game in the Canadiens’ children’s foundation suite. Meloche doesn’t appear to hold any of the players responsible and wrote the post to thank the people who helped. Beauchamp said, moving forward, the team will discuss the practice of soft-tossing pucks to fans, but there are no immediate plans to halt the tradition.